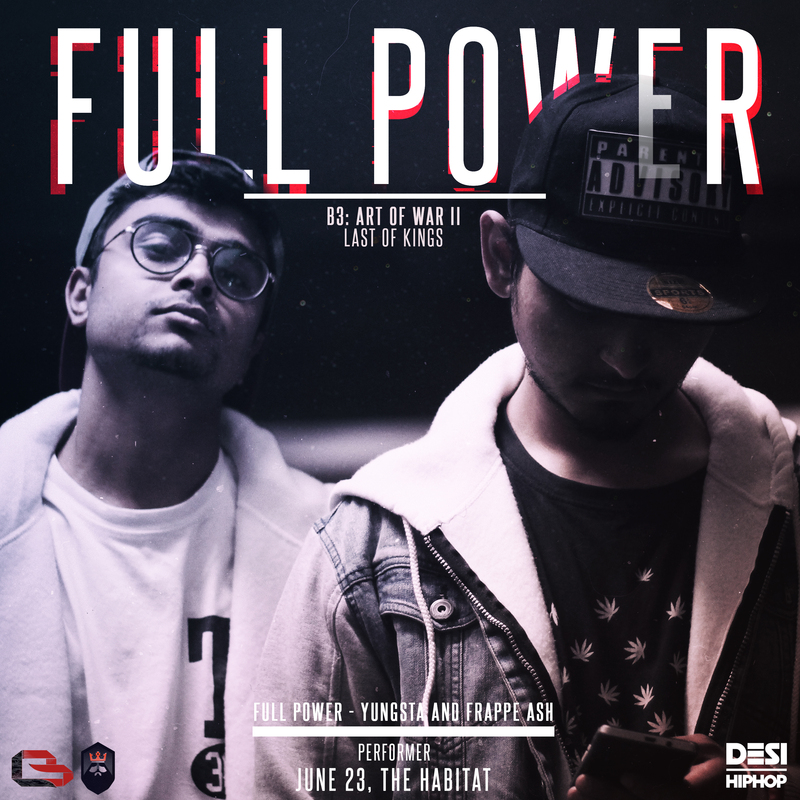 Full Power All Set To Perform at B3 India! Achint To Reveal New Music At B3 India! Trxp Poju Set To Debut Previews of Upcoming Album at B3 India! The newly found duo of Yungsta and Frappe Ash, infamously known as “Full Power” has surely raised some eyebrows as soon as they announced their collaboration. Both these artists have individually contributed a lot of great hip-hop music to the scene. Yungsta has consistently shown us that hip-hop is more than just an hobby for him and he lives that life. He has collaborated with artists from all over the nation has shows potential of being a versatile rapper with a unique voice and distinct style of writing. Also, being a consistent face in the battle Rap scene hosted by Delhi’s battle league “Spit Dop Inc.”, Yungsta has surely made his mark in the Indian Hip Hop scene in a very short period of time. He has a lot of music to offer that can transcend you into a place that you wish existed. Looking at his versatile style of delivery and writing, it gets really hard to categories him under a niche. Frappe Ash, an OG that has repped the Delhi scene for far too long didn’t let his pursuit for education meddle with his passion for his dream. He has continually repped the Delhi scene while being in Pune and has provided the scene with a lot of bangers. The “sahi hai” hit maker has a lot for you in store as far has his music is concerned. Frappe Ash found his audience after he released his rap-cover of “Emptiness” that became viral in 2011 and he hasn’t stopped ever since. And that’s not it, this duo is out with a vengeance to show Bombay what Delhi is really made of. In B3’s first ever handicapped battle, they will go head to head against an Insignian veteran, Infamous, to show him what a tag team should really be like.